Nothing is better than having a dream home and Sobha LTD welcome to its new prominent address “Sobha City Gurgaon” where the feeling is completely matchless. It is time to come out of the hibernation and step into a place that is planned for your comfort, planned to give you international level lifestyle, planned to keep everyone secure, planned to give the right fusion of luxury, comfort and peace. 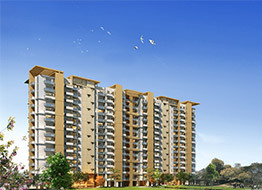 Sobha LTD has scoured the heaven for those who just live with brimming comfort and luxury. 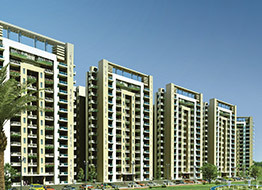 Sobha City Gurgaon sector 108 Gurgaon, Dwarka Expressway- Nothing is better than this, why? All these benefits inject its own advantage and let you explore the prime lifestyle with family. So reasons won’t bring charm to your life, in fact, experience will do it for you, so get ounce of happiness, comfort, peace and freedom every day. It is “Ne Plus Ultra” address to ameliorate the lifestyle and bring an extravagant spark to it. 100 per cent this address is worth its weight in gold because its features scatter happy experience that keeps everyone fully content. When you are here you don’t look for opportunities, in fact, it comes right on your path to let you experience the inexperienced journey that let you grow by mind, heart and soul.